West Mead 1 responded to a series of incidents on Tuesday evening, including a medical call and three flooded roadways. Runoff from a late afternoon thunderstorm overwhelmed the stormwater system in lower-lying areas, and area fire departments were dispatched to multiple flooded and washed-out roads. Squad 28-14 initially responded to an emergency medical call on Star Route. West Mead 1 was dispatched for a report of high water on Cochranton Road near Lloyd’s Rental, followed by additional calls for flooding on Pettis Road and Star Route. 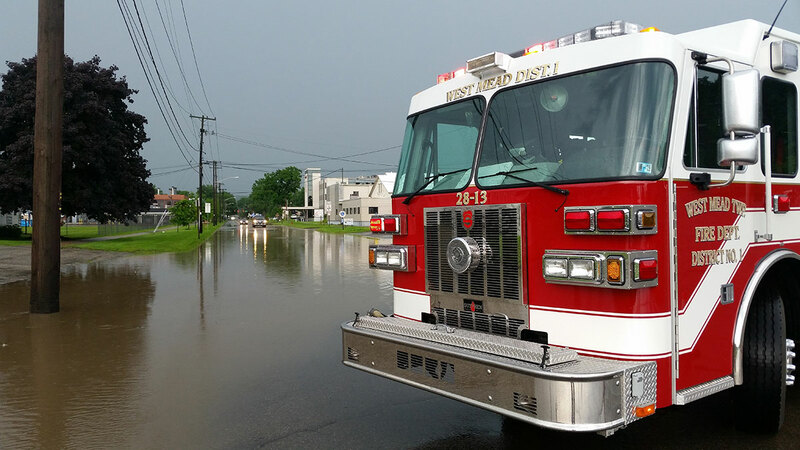 Squad 28-14 responded to flooding on Star Route, Engine 28-11 responded to Pettis Road, and Engines 28-13 and 28-12 responded to Cochranton Road. Department 28 personnel handled traffic control and assisted PennDOT with removing debris from the roadways. West Mead Township Road Department also assisted with clearing Pettis Road. All 28 units returned to service by 9:00 PM. We were back out last evening with the storm, with multiple flooded roadways, including US 322, Liberty St, Townline between Hunter and Star Route, etc. According to what I heard, the damage to the roadways was limited to debris over the roads.